As the days get shorter and the mornings get colder, you will need to prep yourself and your home for the impending winter weather. It is important to make the necessary preparations to ensure you travel safely this winter season. Check to see that all interior and exterior lights are working properly. Make sure the lenses of your headlights and taillights are clean and replace any burnt-out bulbs. Inspect your wiper blades and consider winter wiper blades, if necessary. It's important that you can see clearly through your windshield at all times, but especially when it's raining or snowing and your visibility is compromised. Make sure your heater and defroster are working efficiently. Use your defroster to clear your entire windshield before you head out on the road. Check tire tread depth and tire pressure. Worn out or unevenly worn tires can not grip the road in wet and icy conditions. If necessary, replace your tires before the weather changes. Also, as the temperature fluctuates, so does the air pressure in your tires. In colder temperatures, low pressure can dangerously affect your car's handling, fuel economy, and could lead to a blowout. Have your brakes checked by a certified technician at AAA. As the roads get slick, your stopping time increases. Make sure your brakes are doing their job. Get your oil changed and filters switched as recommended by the manufacturer. Keep your gas tank full or at least half-full during colder weather to prevent moisture from forming in the gas lines. Also, a full tank will eliminate the worry of running out of gas if you get stuck in heavy traffic, or if you need to keep the car running as a heat source. 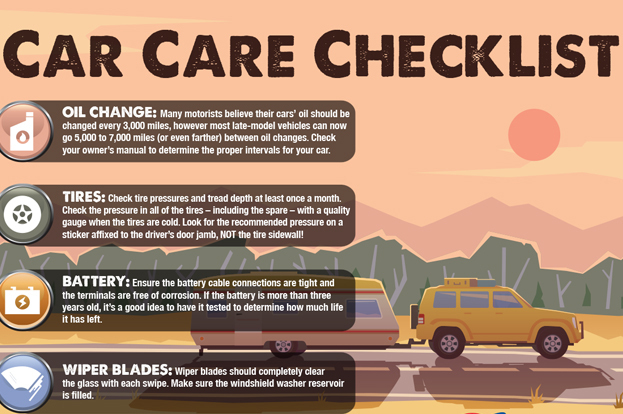 Check your battery for connections and corrosion and learn about ways to maintain your battery life in colder weather. Extreme temperatures can cause battery issues, so get ahead of potential problems. Your local AAA Car Care Center can test and replace weak batteries. Have your cooling system checked and flushed if necessary or top off the antifreeze if needed. Your car's radiator helps the engine to stay at a proper temperature, regardless of how hot or cold it is outside. 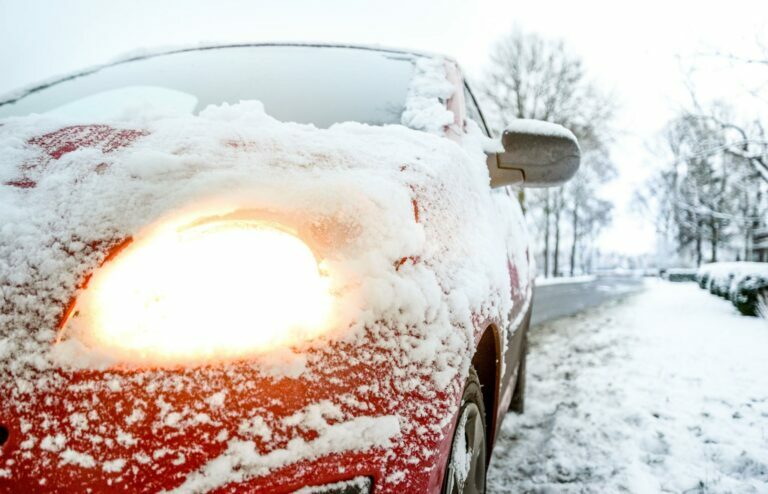 If the system isn't working properly, your engine could freeze in the winter, meaning your car won't start. Have AAA check your exhaust system for leaks. Leaks can be dangerous in cool weather when windows are closed. Stock an emergency kit in your car. Include blankets, bottled water, a flashlight, shovel, ice scraper, and a first aid kit. If you should get stranded, call AAA for roadside assistance. Keep your wipers off your windshield overnight when wintry weather beigns. If your car is parked outside, this will help to ensure they are not frozen to the windshield in the morning when you need to leave. As you prepare your home for colder weather, remember to take care of your car too. A few minutes at home inspecting your vehicle, along with a maintenance appointment at your local AAA Car Care, can save you time and money down the road. Make an appointment to visit your local AAA Car Care today!